AUCTION DETAILS: SN# 24C7503. Savage Manufactured. US Property marked. 1942 dated. Beautiful light brown wood finish. Metal finish ~70% remaining. Pitting around exterior of barrel near muzzle. 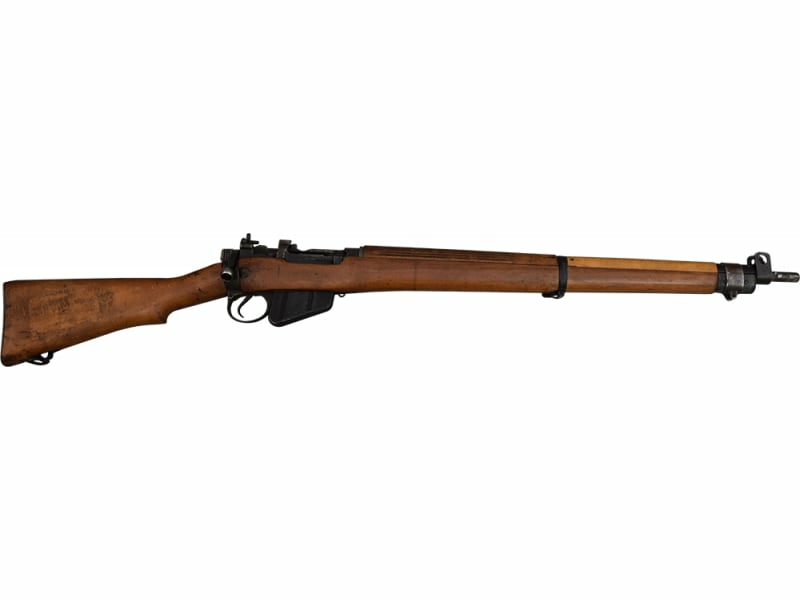 Historic British Enfield #4 MK1 Bolt Action Rifle in .303 British Caliber. Majority are in Good to Very Good Surplus Condition. (See Brutus description for more details.) 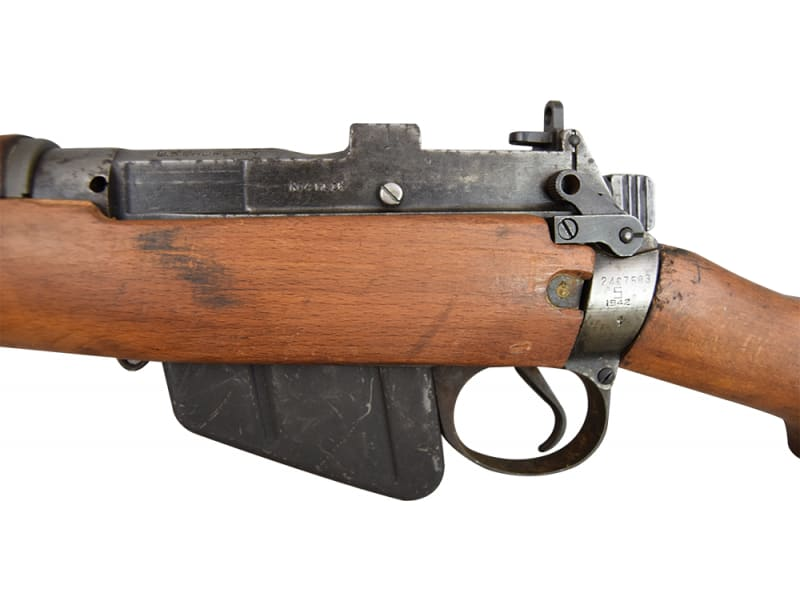 These rifles have not been as readily available in the U.S. marketplace for several years now and we are proud to be able to offer one for auction. 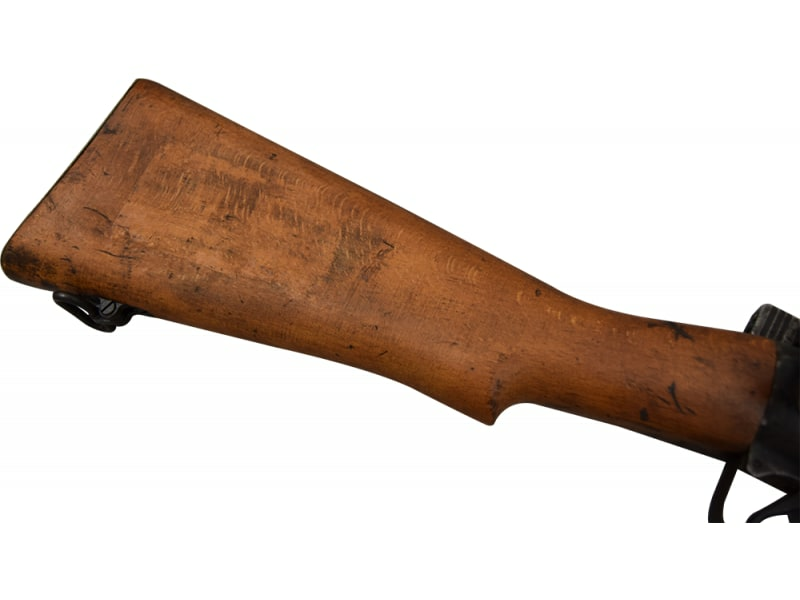 The Enfield #4 Mk1 was the workhorse of the British Empire and they remain highly sought after by shooters, hunters, and collectors today. 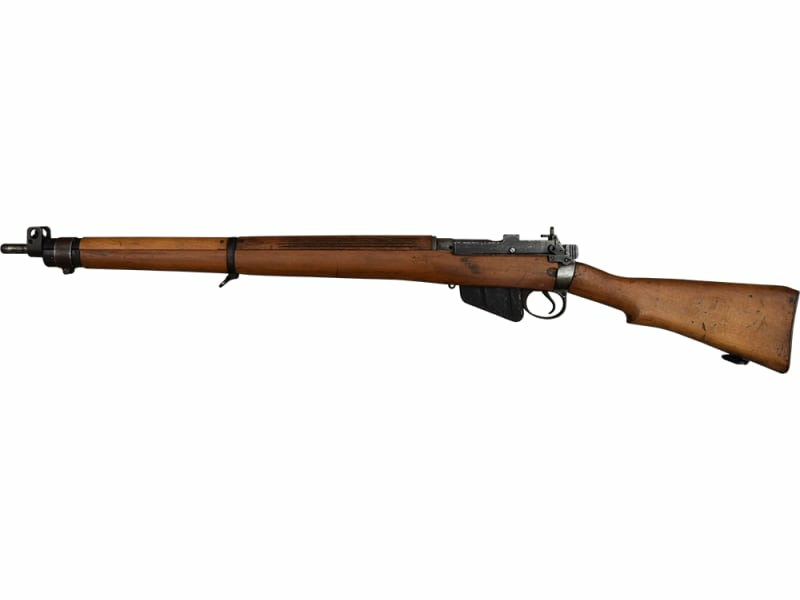 This rifle came from one of the nicest cleanest batches we have ever come across. C&R Eligible. 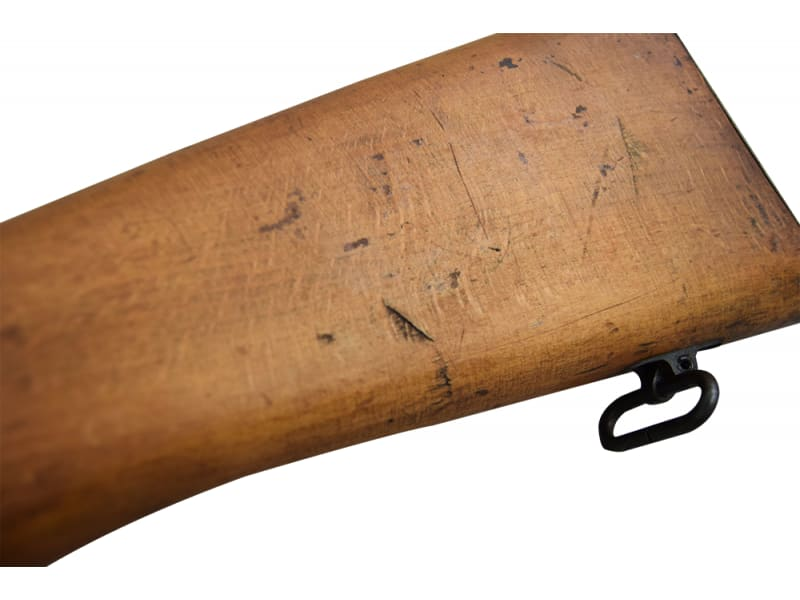 If you would have asked me a few weeks ago if Classic would ever have any Enfield rifles to sell again I would have said that it was highly doubtful. You just never see these things anymore. But we are sure proud to have one for auction. 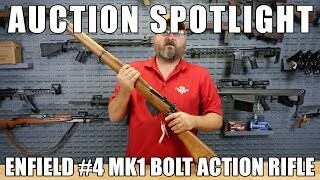 Original #4 Mk1 model British Enfield rifles, .303 Caliber, Bolt Action. I don't know what theater of action this particular lot of rifles saw battle in because it could have been just about anywhere. 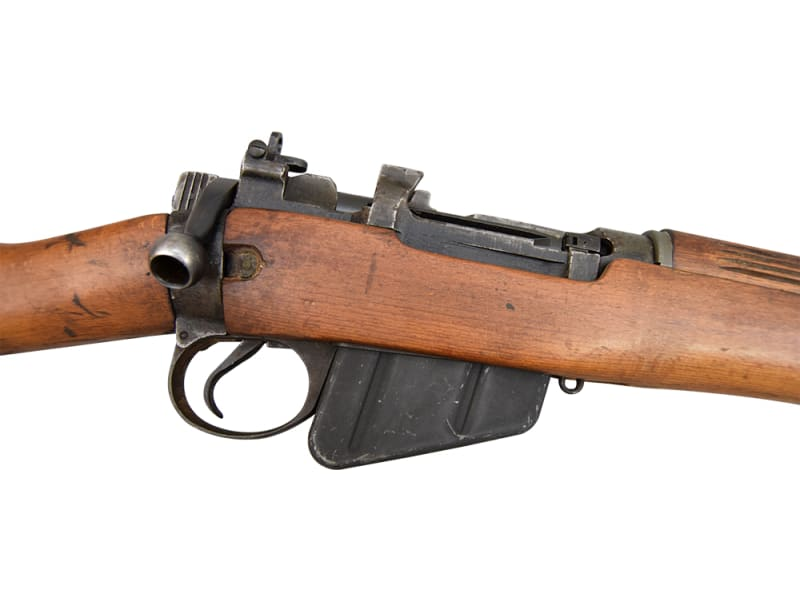 The .303 Enfield was one of the most prominent battle rifles ever produced. Back in the late 80s and early 90s we were able to obtain these fairly easily but they have been largely gone for years. Traditions FRS1858 1858 Black Powder Navy Revolver .44 Cal Brass, Blued, With Full Kit - No FFL Required. Traditions FR18582 1858 Black Powder Army Revolver .44 Cal Brass - No FFL Required.